The Steroid Era: behind us? One of the take-aways from Bud Selig’s official statement was that he believes the Steroid Era to be behind us. I’m not so sure, but I’m no chemist. Luckily, I happen to know someone who is familar with the bleeding edge of performance enhancing drugs. I asked Anthony Roberts his thoughts on what Bud Selig had to say yesterday. Below is his science-laden reply, deliciously wrapped in philosophical bookends. If you come away thinking the Steroid Era is over, let me know as I have a bridge to sell you. Grown-ups have a talent for complicating even the simplest of games. At its heart, baseball needs very little, except players and minimal equipment, to be played – and enjoyed. The $40 plate of sushi I recently enjoyed at Yankee Stadium yielded far less joy than hitting a tennis ball with a broomstick past the edge of the 32nd street parking lot in Union City – a homerun and potential game-ending lost ball – twenty odd years ago. Economically speaking, I am getting far less return on my investment with a $40 plate of sushi. We wore jerseys of our favorite players and laid claim to being “them” during games – “I’m Don Mattingly” or, far more popular in the Cuban majority neighborhood, “I’m Jose Canseso.” We were kids who didn’t know, or care, about the pharmaceutical adventures of our heroes. Had we been asked, we would have assumed that “The Emperor’s Club” had something to do with Star Wars. “The use of steroids and amphetamines amongst today’s players has greatly subsided and is virtually nonexistent, as our testing results have shown. The so-called steroid era – a reference that is resented by the many players who played in that era and never touched the substances – is clearly a thing of the past, and Mark [McGwire]’s admission today is another step in the right direction.” — Bud Selig, 1/11/10 Select View Full Post to continue reading. Sabermetricians will note that Selig seems to be making a statistically defensible point – in 2009, there were only two positive steroid tests in major league baseball, distilled from a whopping 3,722 samples. But, as tends to happen when grown ups get involved in children’s games, things get immeasurably complicated. 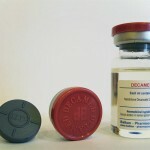 A group of anti-doping researchers at the German Sport University of Cologne in Cologne, Germany, have recently confirmed that a substance known as S-4, an undetectable performance enhancing drug with the relative potency of testosterone, has been discovered for sale on the black market. The problem is that they made this discovery in 2009, but the drug has been available since 2007 – it retails for about a hundred bucks. Compounding the problem is the fact that there has, to date, been no reliable test for human growth hormone (hGH) detection in athletes. The oft-heard “We’ve almost perfected a test for growth hormone” has replaced the carrying of the Olympic torch as the herald of each new games. Of course, growth hormone is thought to exert much of its anabolic effects through another hormone known as Insulin-like Growth Factor 1 (IGF-I). As of this writing, IGF-I remains undetectable and has been widely available on the black market for over a decade. Because it, like growth hormone, occurs naturally in the human body, developing a method for detecting its use in athletes has become problematic, if not impossible. And, were we to look down stream a bit further, we’d find something called Mechano Growth Factor. A 2001 study found that a single intramuscular injection into muscle resulted in a 25% increase in muscle fiber cross section. That drug has also been widely available on the black market since 2005, and is currently undetectable. Additionally compounding the problem is that exercise raises levels of hGH, IGF-I, and MGF. Hence, detecting their use in athletes has become a Sisyphean task for anti-doping scientists. A $40 bottle of Humulin-R, a brand of insulin used by diabetics, magnifies the effects of the aforementioned three drugs exponentially, is available over the counter without a prescription, and is also – you guessed it – undetectable. And while greenies, a once-popular amphetamine, were banned in 2005, players have suddenly lost their ability to focus; 7.6 percent of the 1,354 active players in 2007 were using the medications Ritalin and Adderall, prescription amphetamines, and receiving therapeutic exemption permission to do so. So, while Bud Selig may have been technically right about the so-called “Steroid Era” being over, the era of performance enhancing drugs in Major League Baseball is far from over. My ten year-old self would call his statement a lie, but in the grey and morally uncertain world of adulthood, I’m not sure any longer. Twenty years ago, my only moral dilemma related to baseball was whether a Brett Saberhagen rookie card was worth a Mike Schmidt and a Cal Ripken Jr. I had no idea about the monetary value of those cards, only the emotional attachment I had with each player. This is why kids never buy cards from each other, only trade. There is an emotional investment children have with baseball, ignored if not forgotten with the acquisition of drivers licenses and 401ks, that places the value of the game and its players far above dollars and cents, and makes me want to be ten again, and forget about performance enhancing drugs and $40 plates of sushi. Jason Rosenberg began his blogging career in late 2007 at his own baseball-focused blog, ItsAboutTheMoney, Stupid.